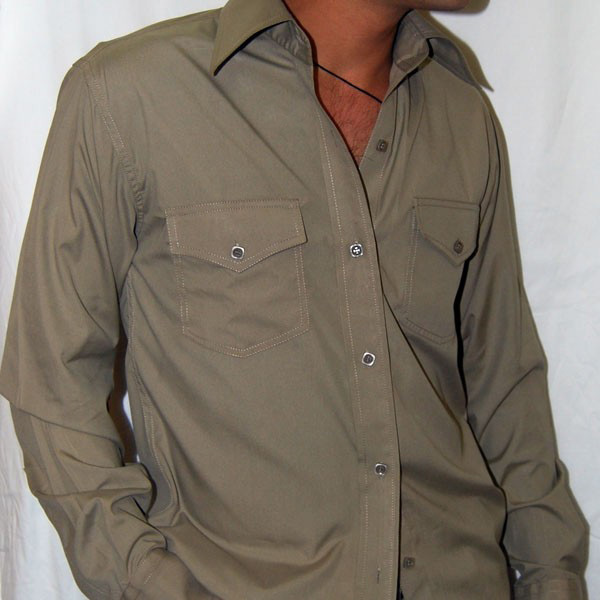 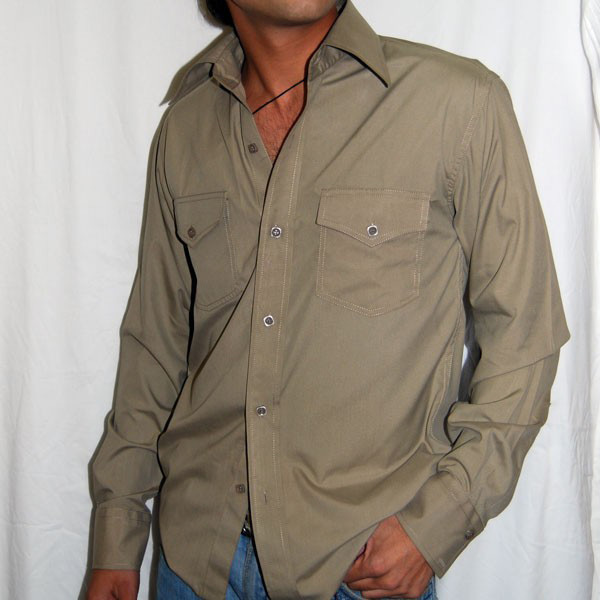 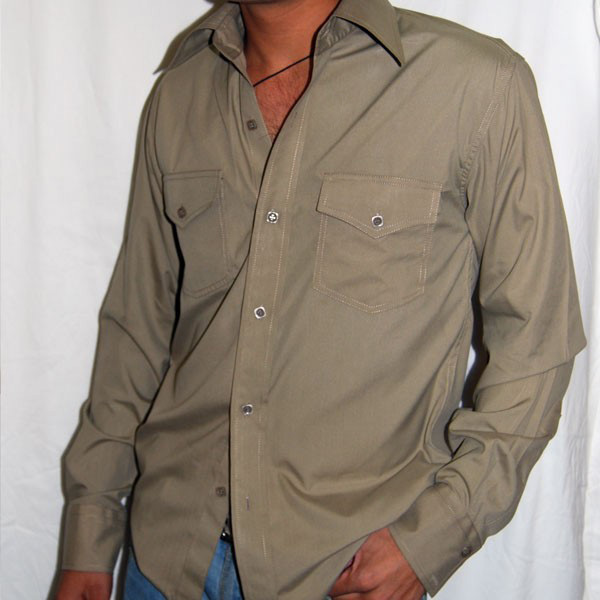 Khaki all the way with double threaded stitching, the shirt is a complete trend on its own. 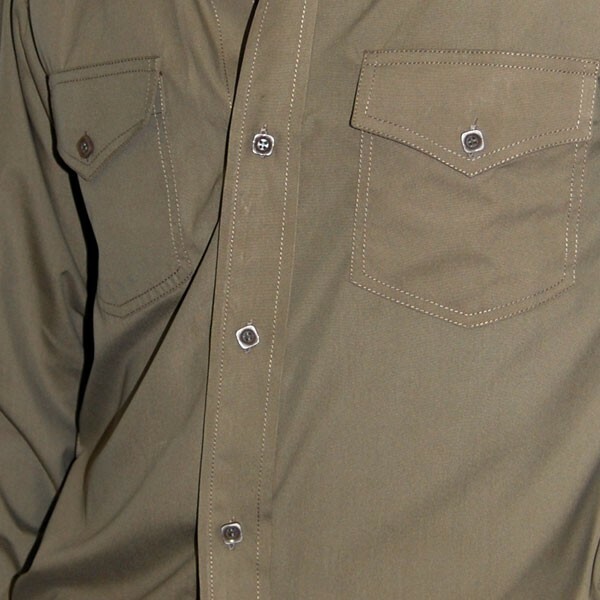 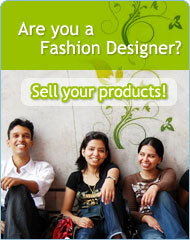 The two flap pockets in the front and double cuffs complete the design with excellence. The shirt is perfect for formal wear.